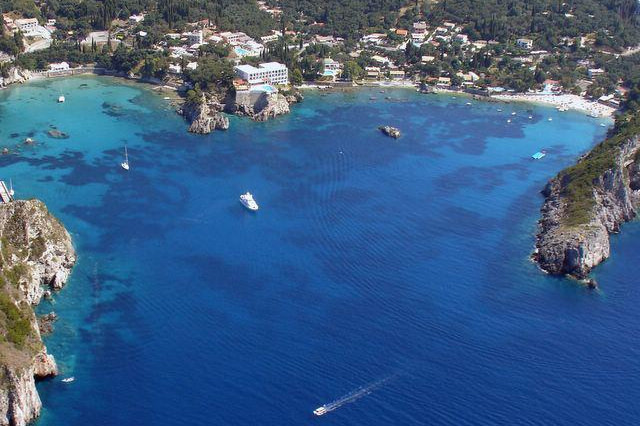 A selection of useful information on touristic services around the island. 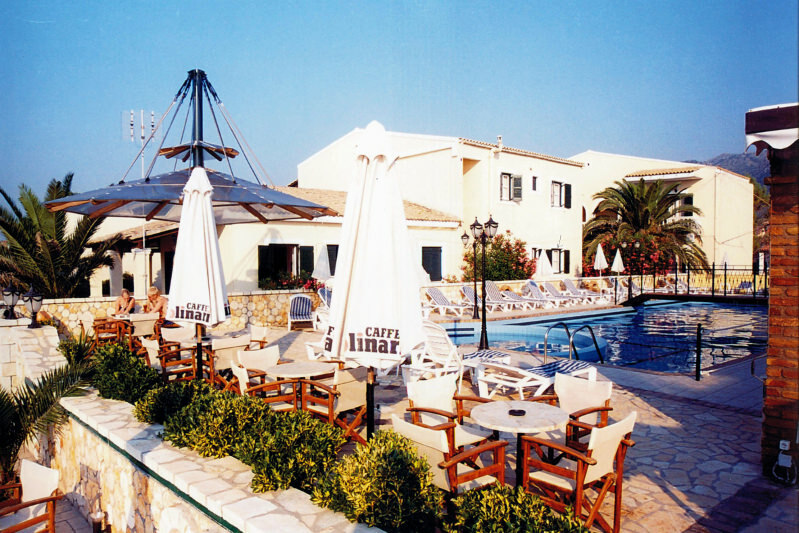 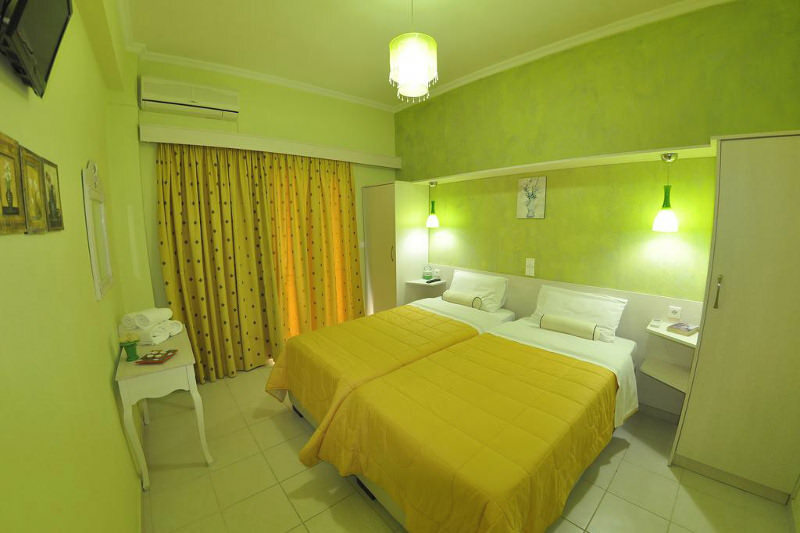 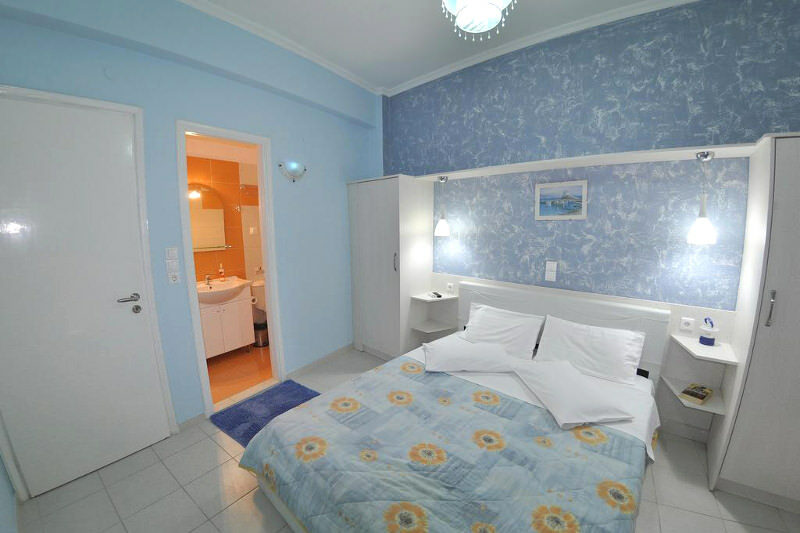 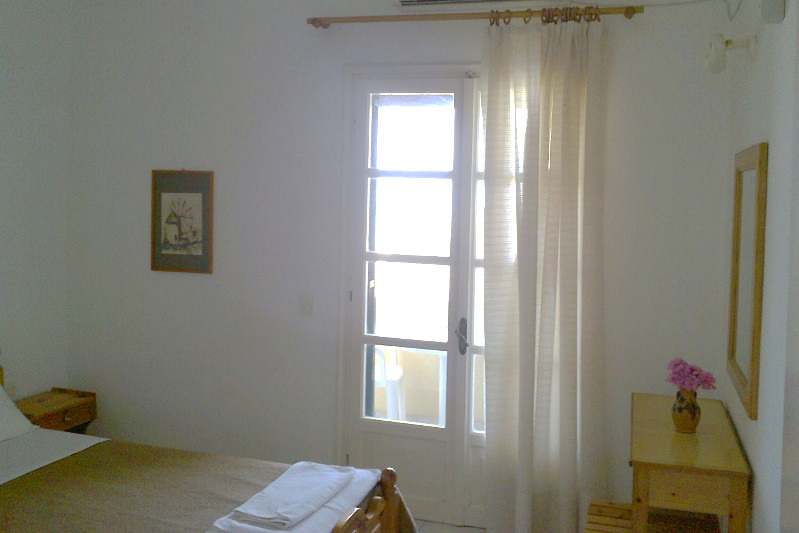 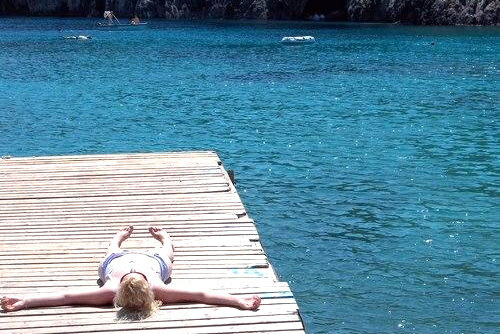 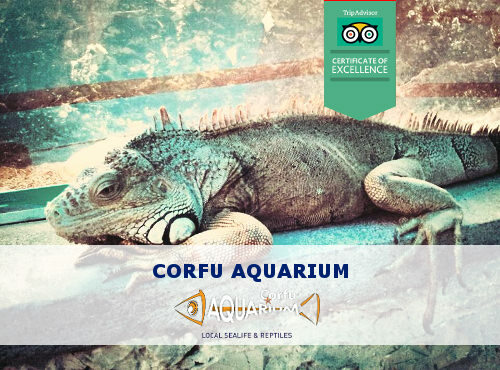 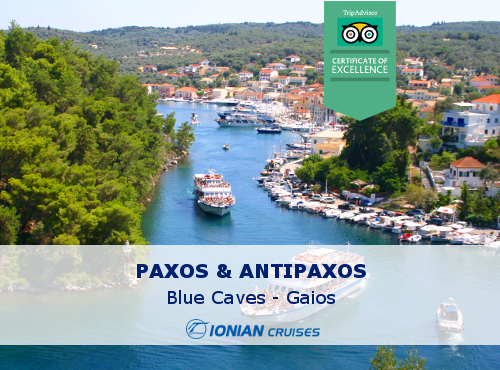 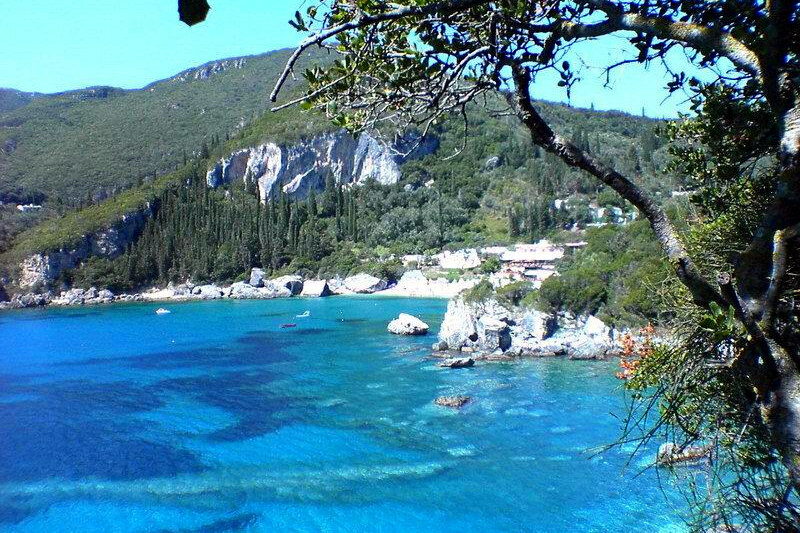 Find great ideas on where to stay when in Corfu. 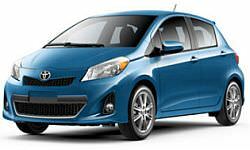 Suggestions for car, bike and boat rental services. 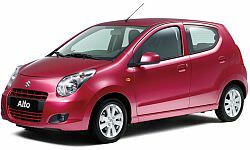 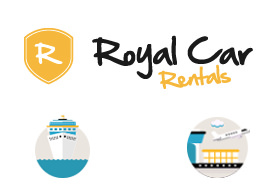 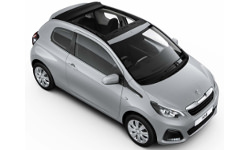 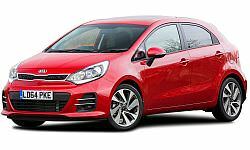 Royal Car Rental is a car hire company based in Corfu cruise port terminal. 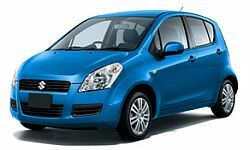 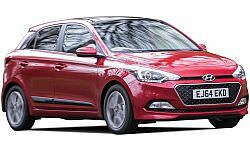 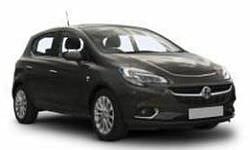 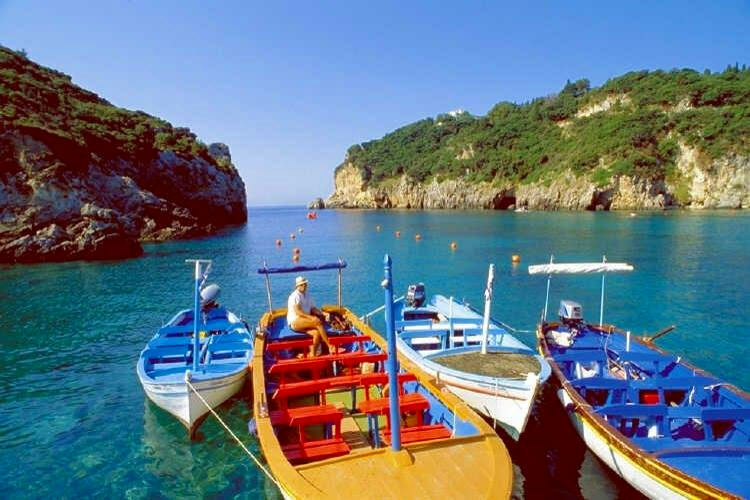 Royal Car Rentals is a family run business which has over 15 years of experience in Corfu Car Hire and in 2004 they founded the Royal Car Rentals. 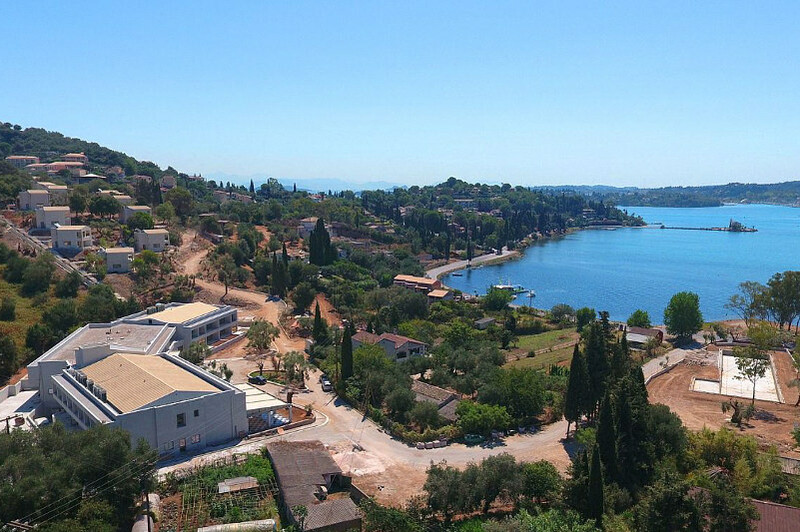 We then took up residence in Corfu port cruise terminal, Today we serve our valued customers from Corfu airport and across all of Corfu island and pride ourselves on our reliability and customer service. 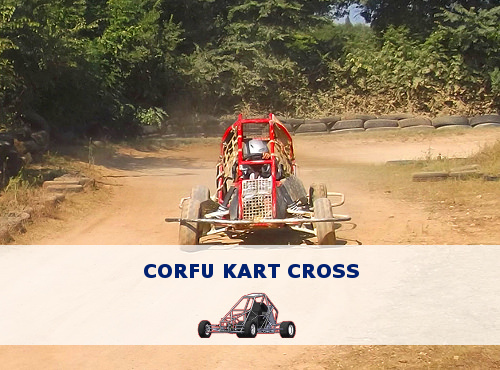 Forget about all the problems with your transport and let yourself find your destination for the days of your vacation with 'Car Hire Corfu'. 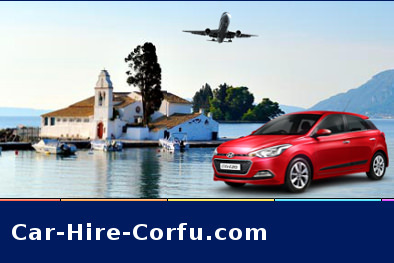 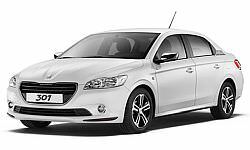 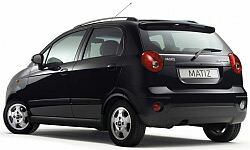 Located just a few meters away from Corfu Airport we provide you with top quality A/C cars. 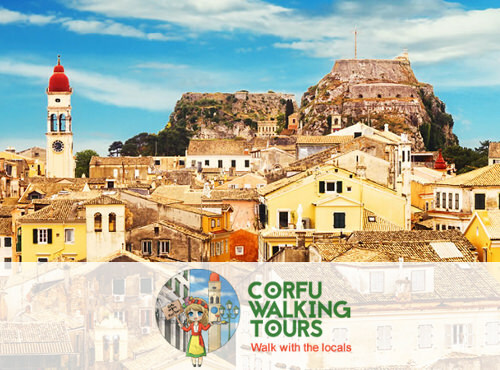 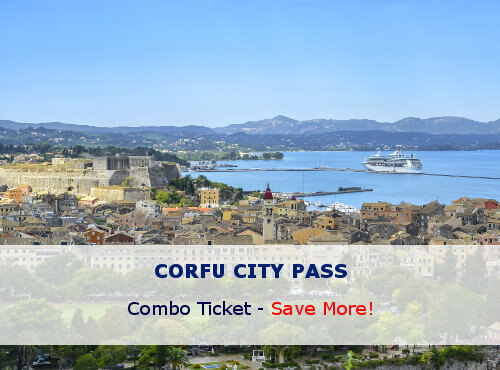 Say "CorfuCityPass" & get Special Rate! 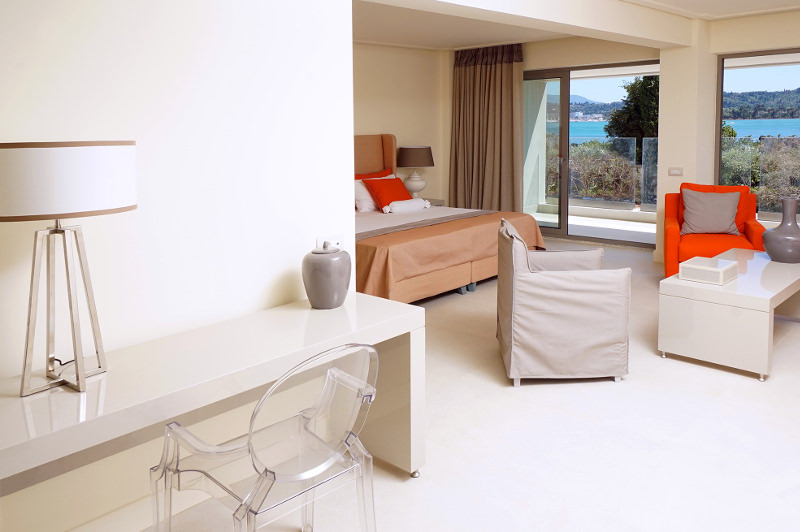 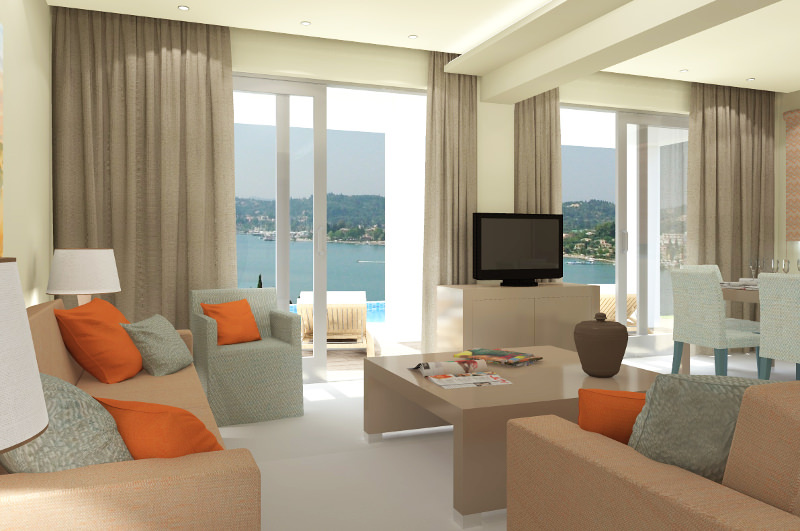 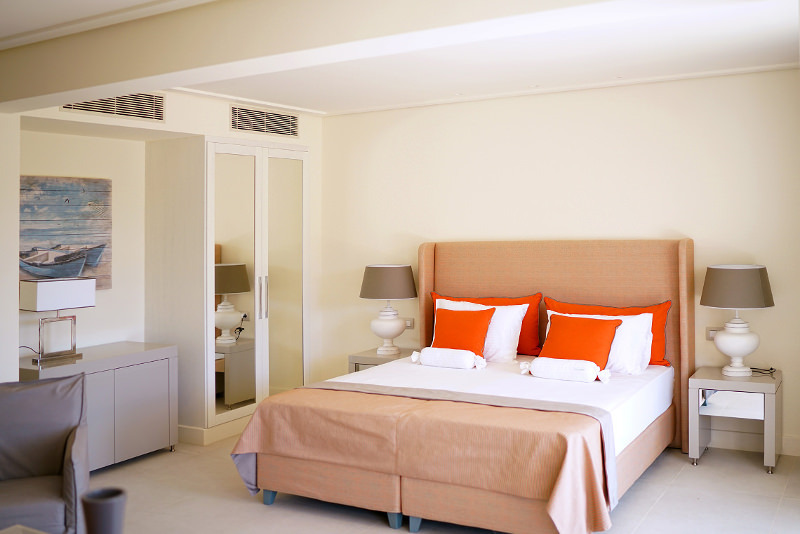 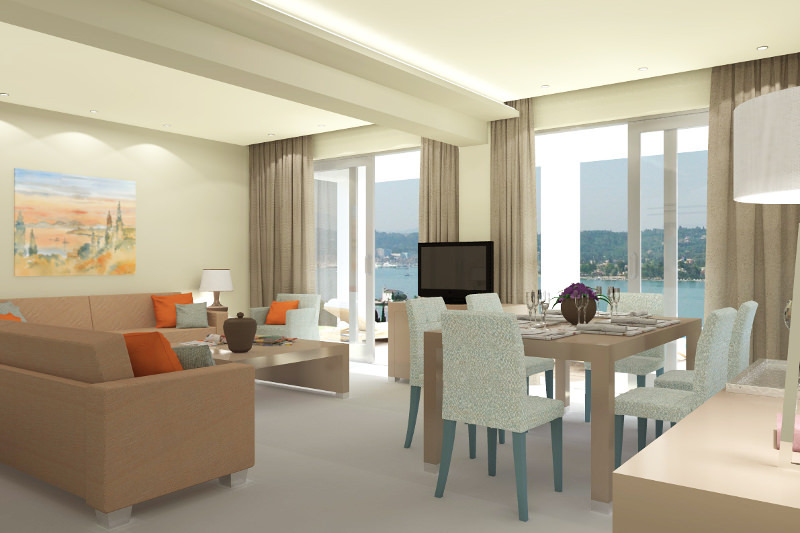 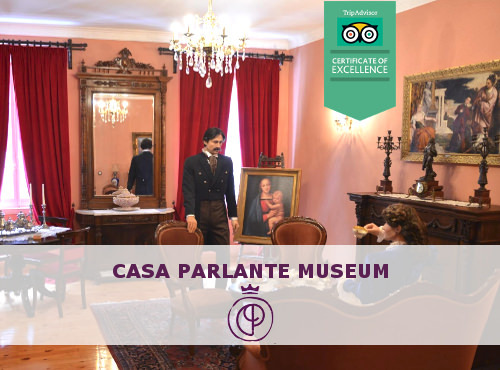 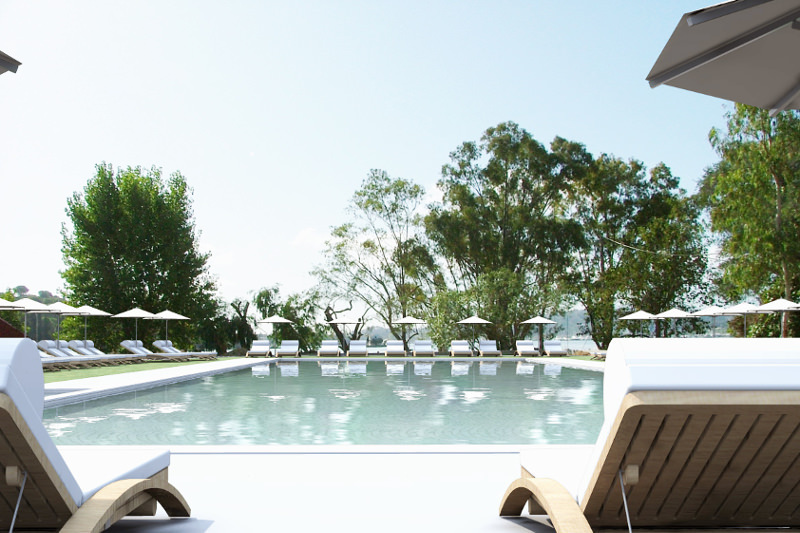 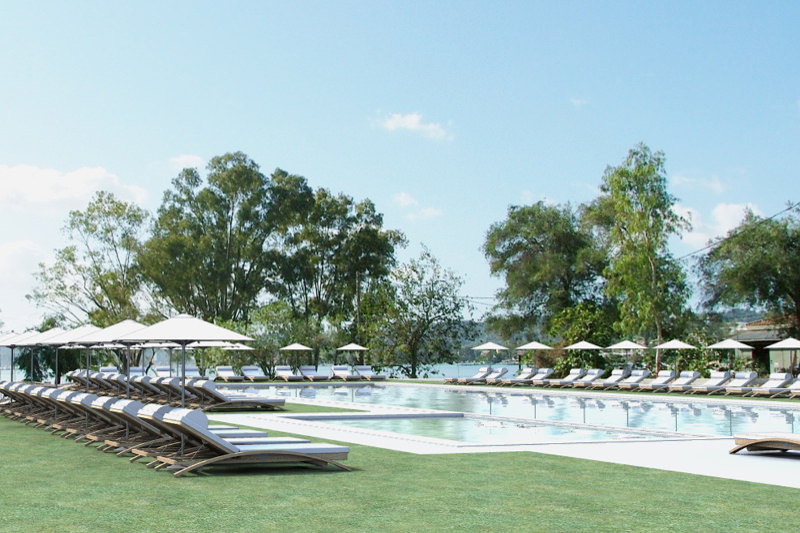 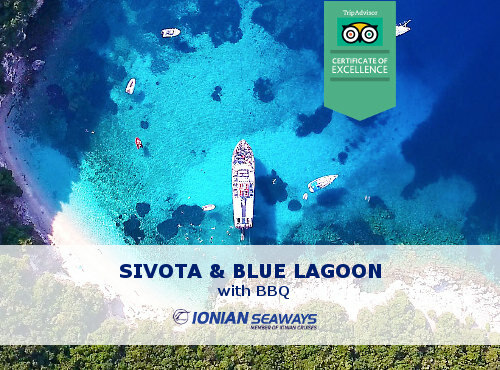 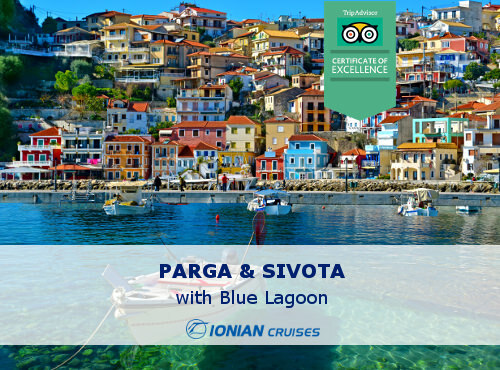 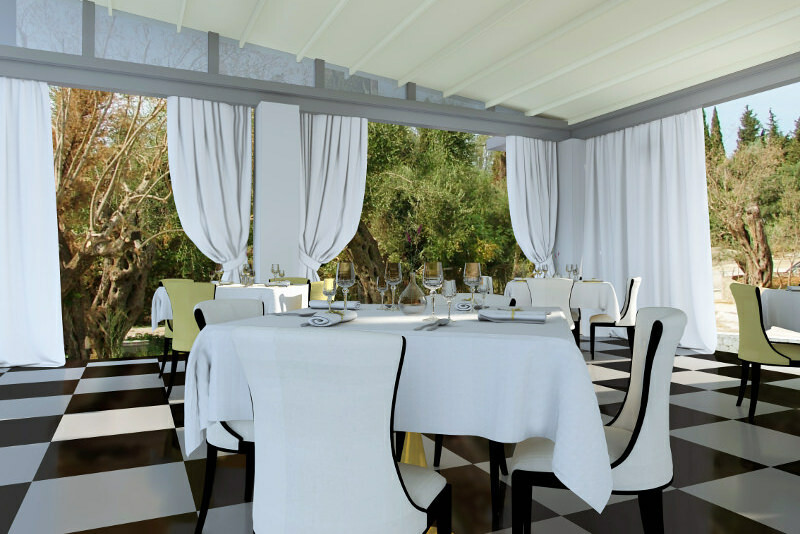 A new entry in Corfu's 5-star luxury hotels. 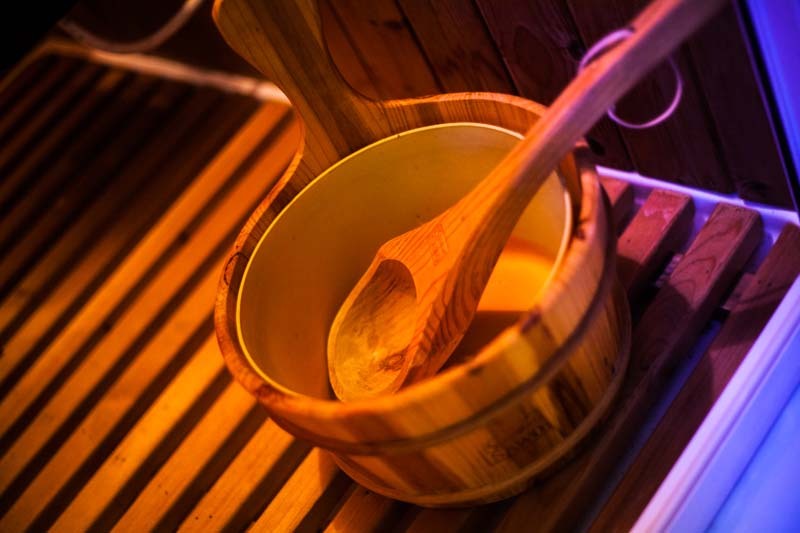 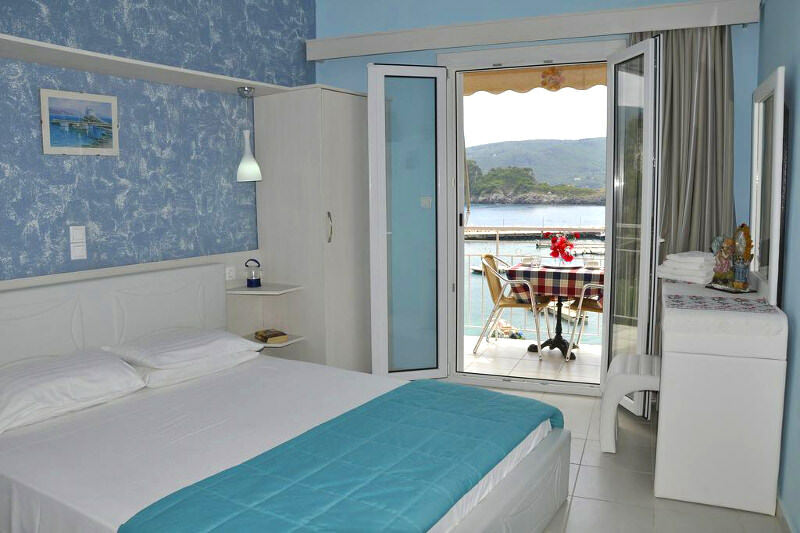 Located in the peaceful Kommeno Bay Rodostamo Hotel & Spa offers to its guests luxurious rooms & suites, private jacuzzi bungalows & private pool villas. 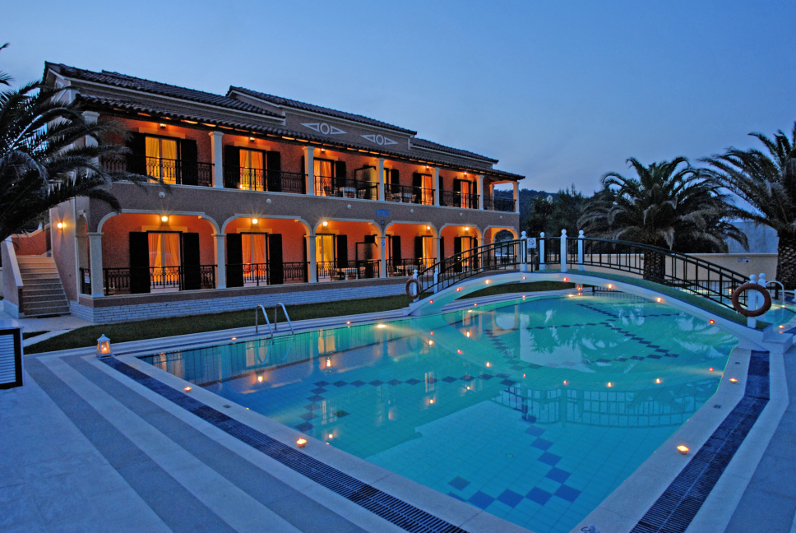 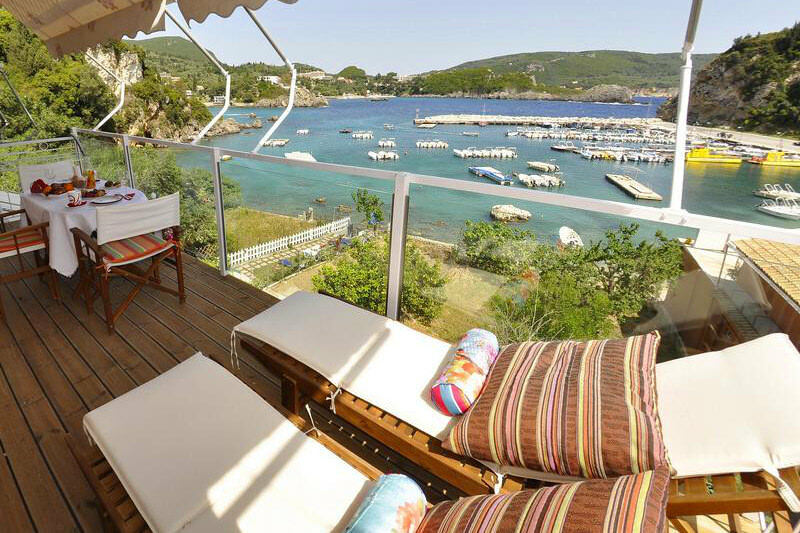 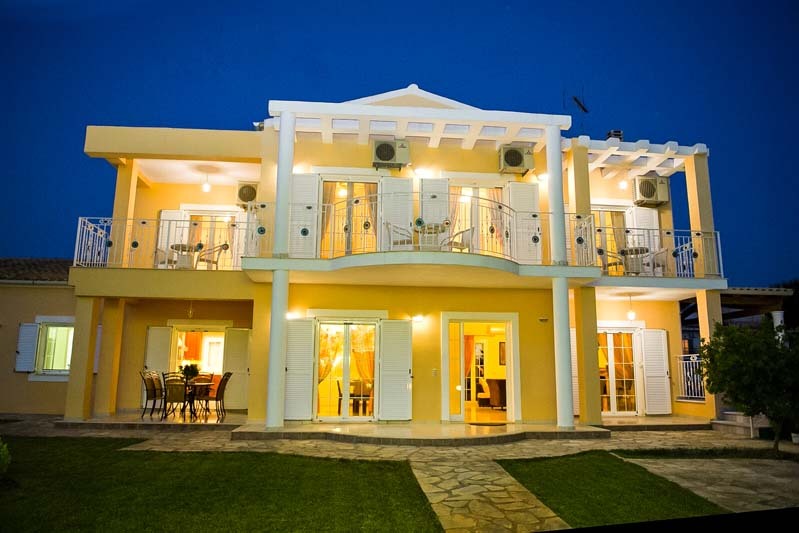 This luxurious private pool villa is located in Roda, Corfu. 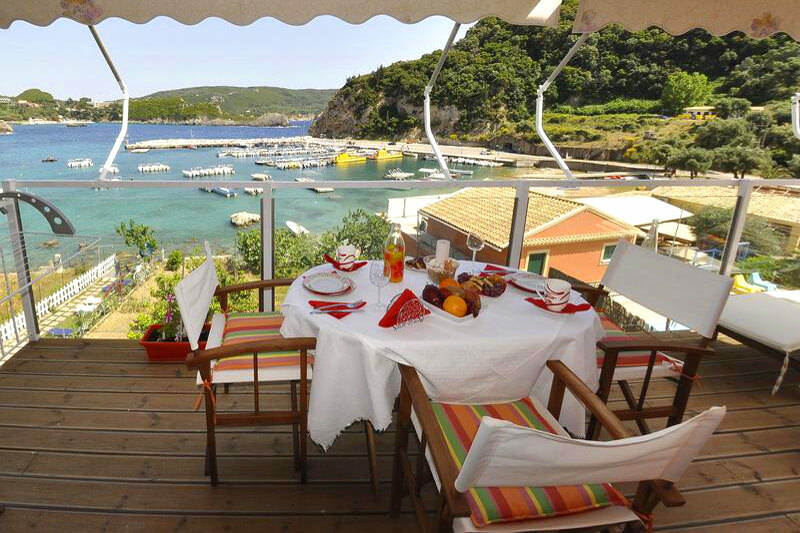 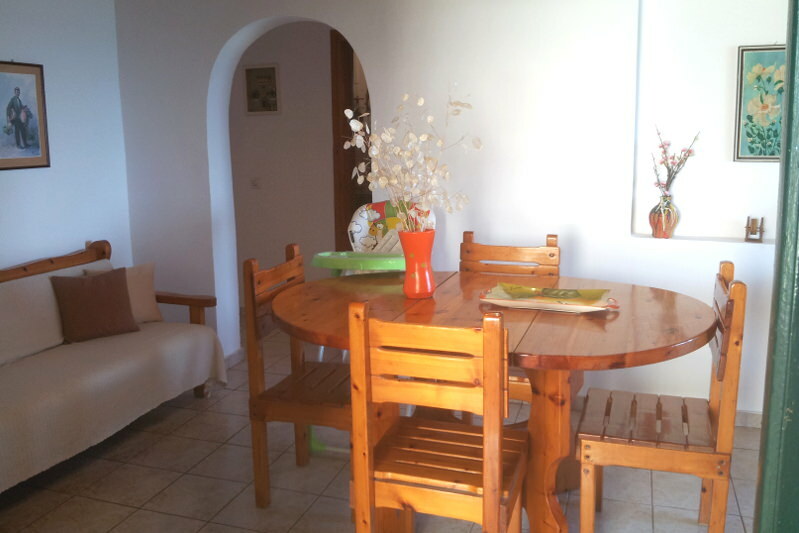 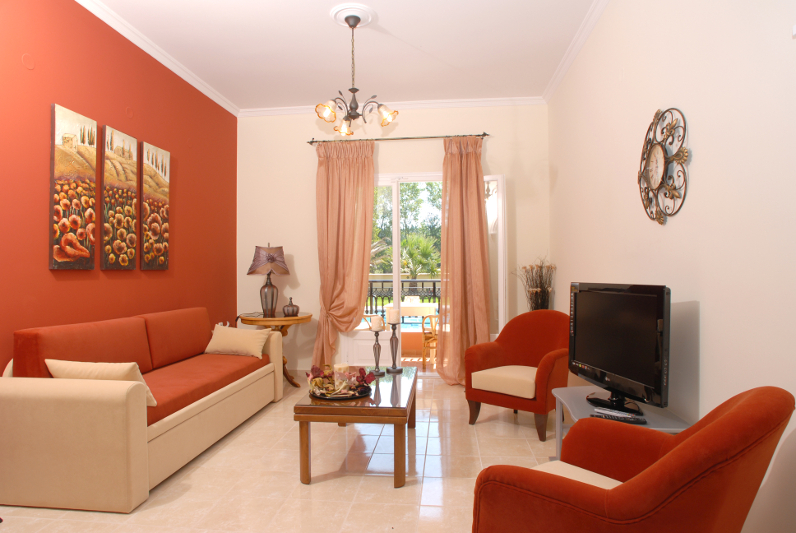 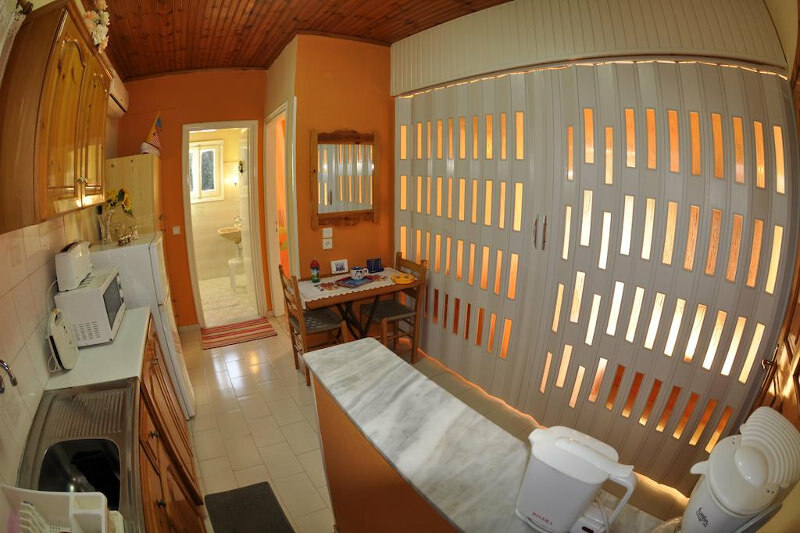 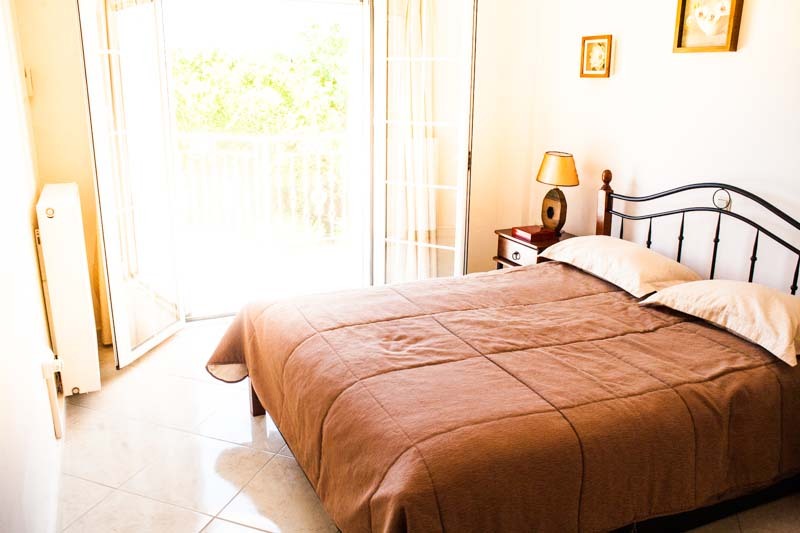 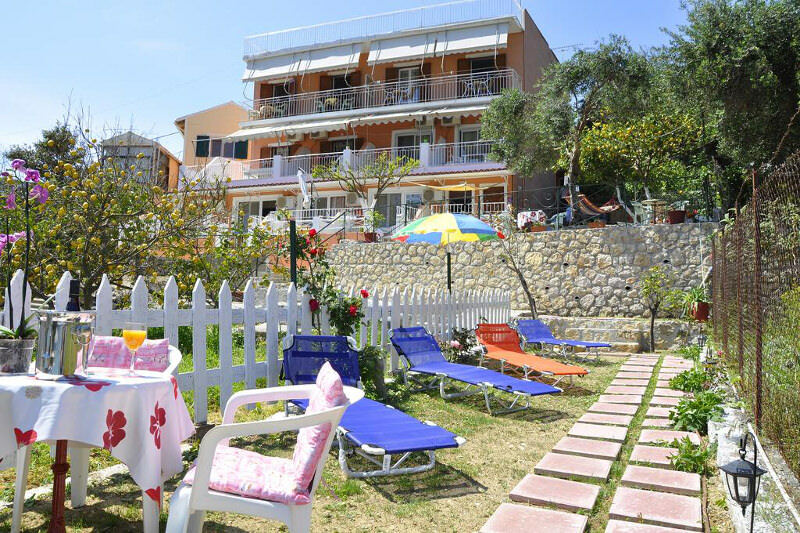 The villa is a few meters away from the beach and can accommodate up to 11 guests. 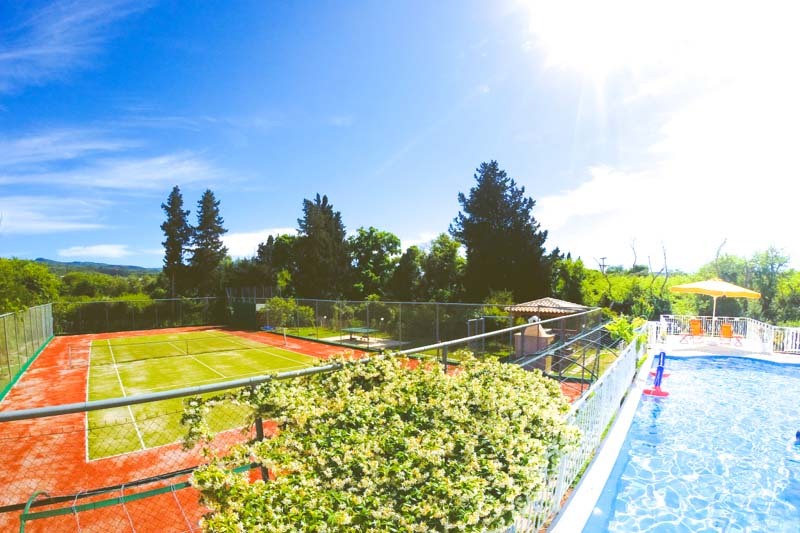 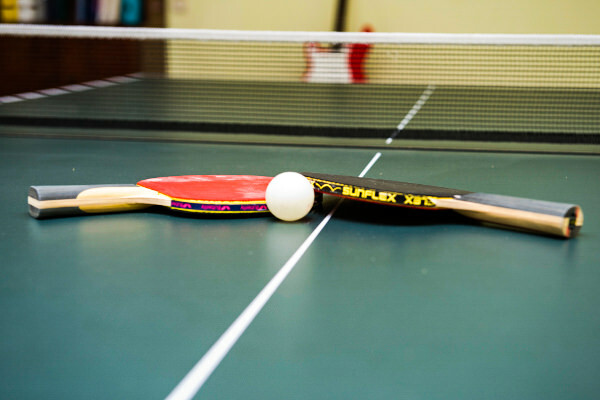 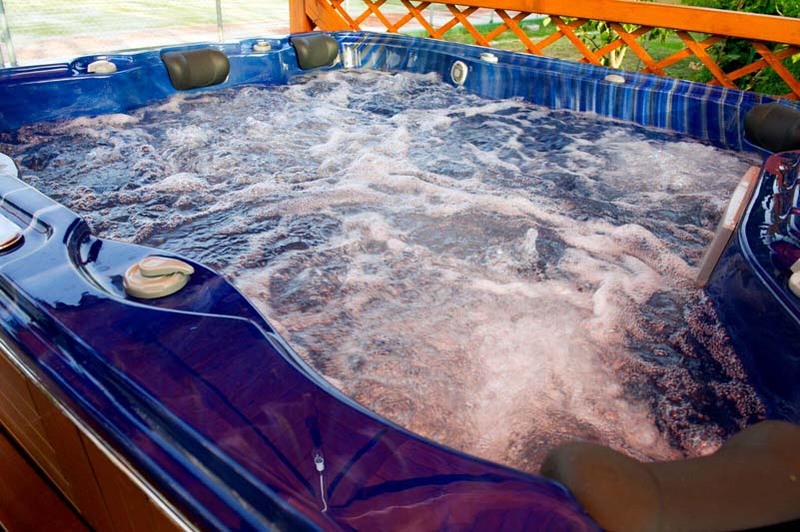 The villa has its own tennis court, an outdoor jacuzzi and a sauna. 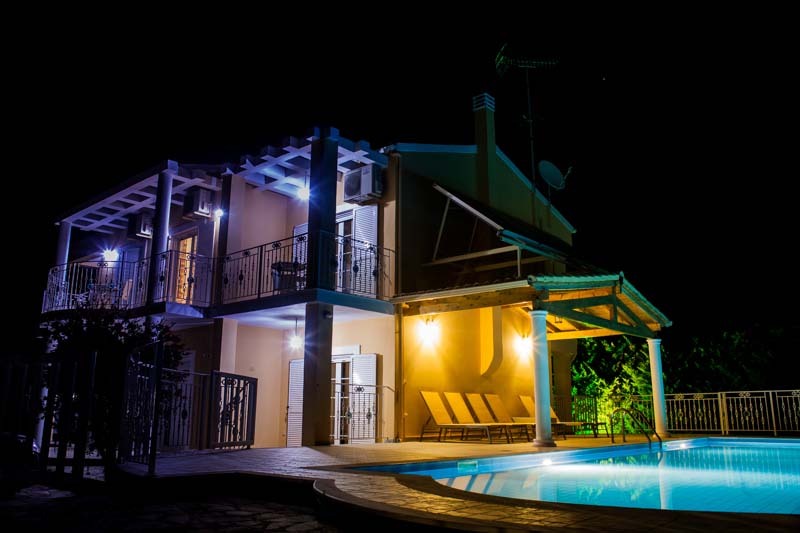 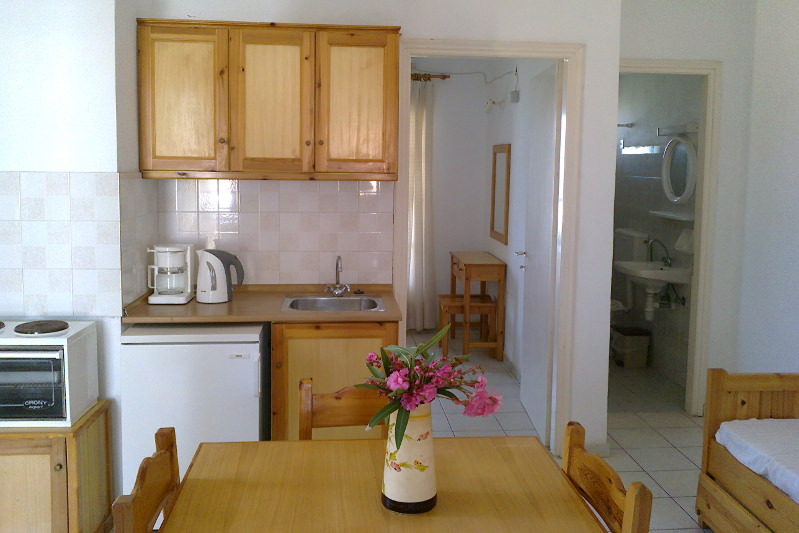 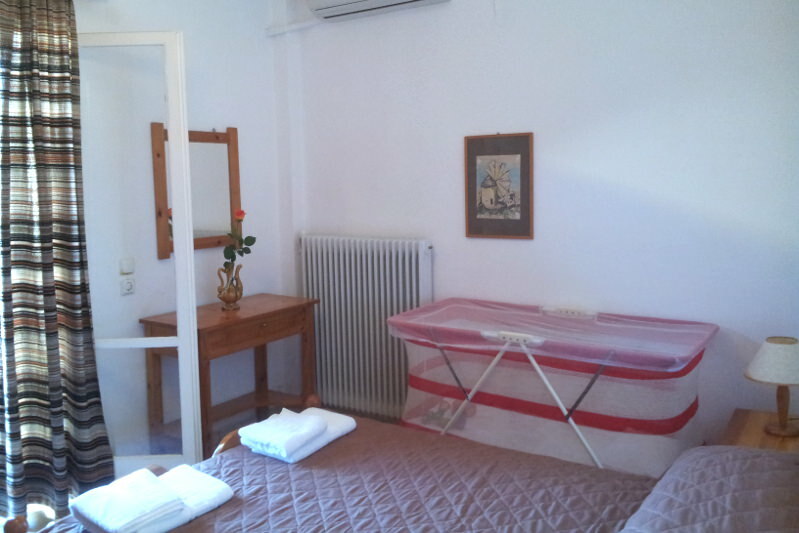 These self-catering apartments are on the edge of Sidari surrounded by peaceful green fields and hills. 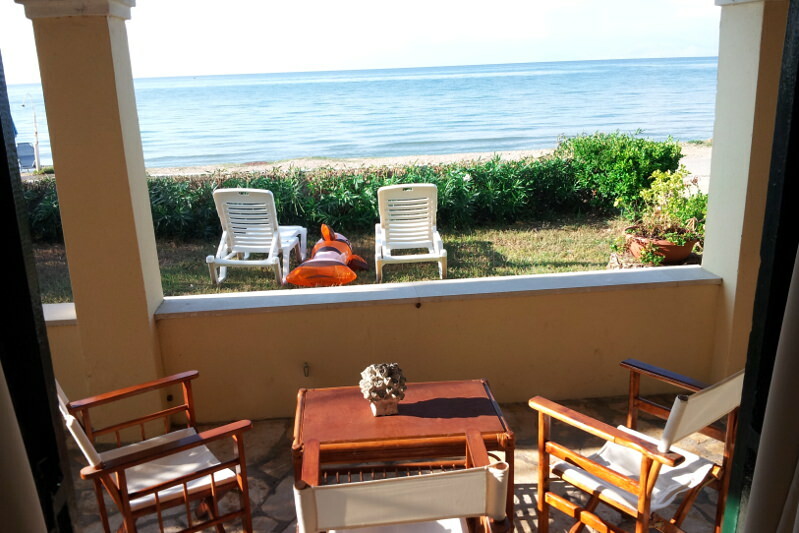 It is truly the best of both worlds; a tranquil setting with a private swimming pool, just a walk away from Sidari and its beaches. 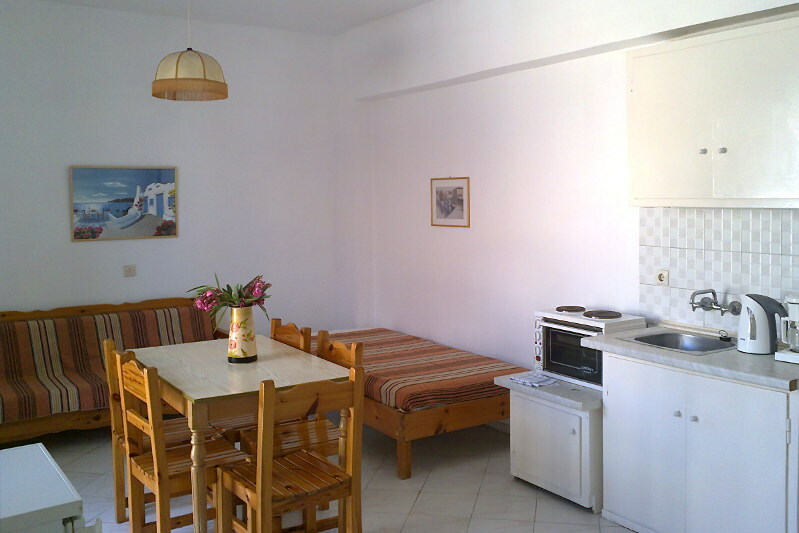 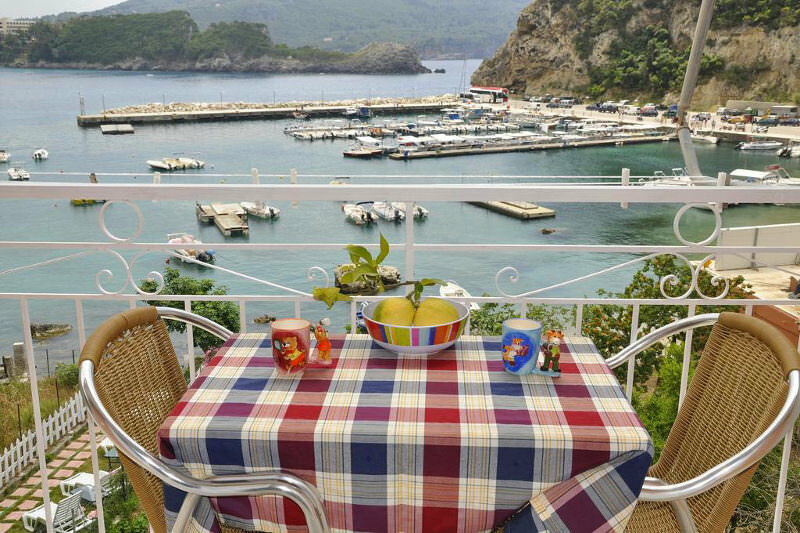 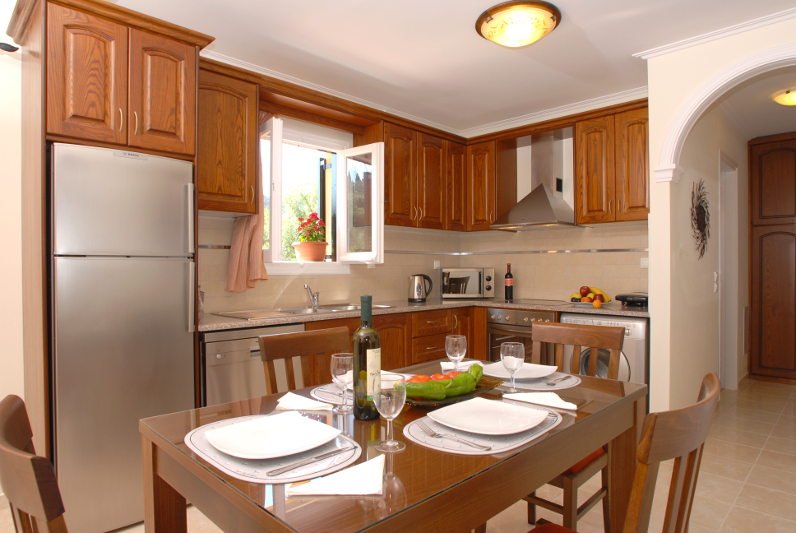 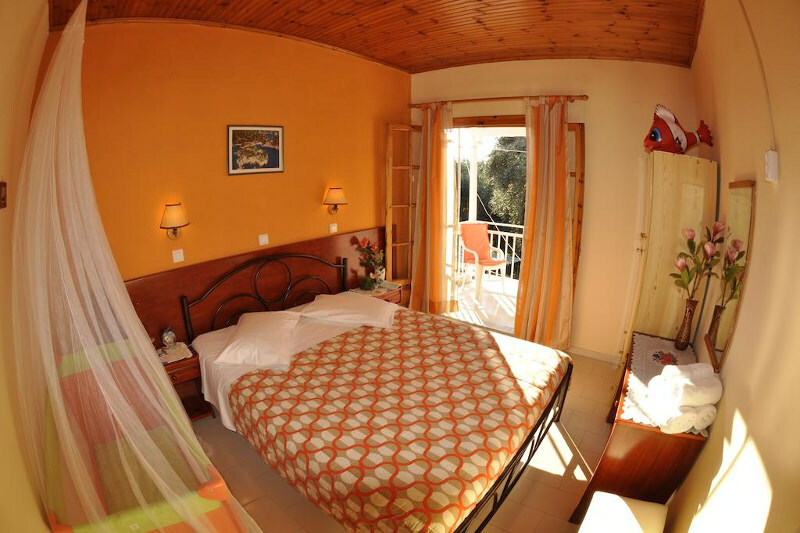 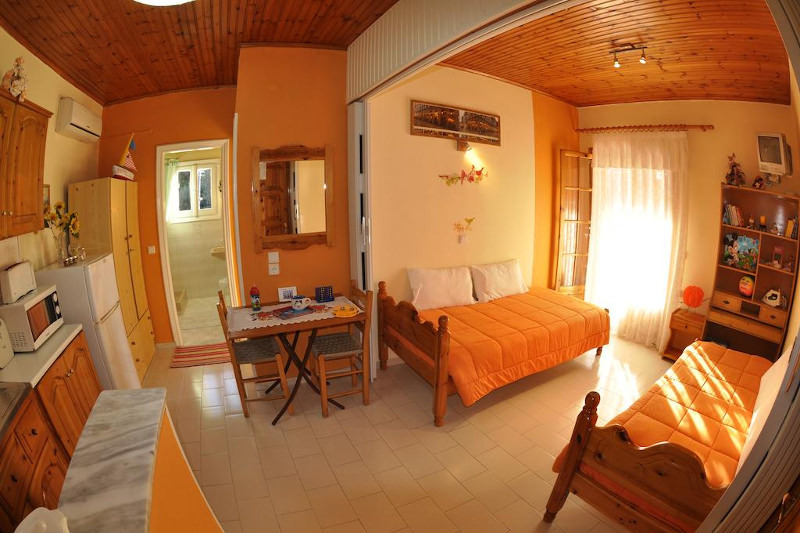 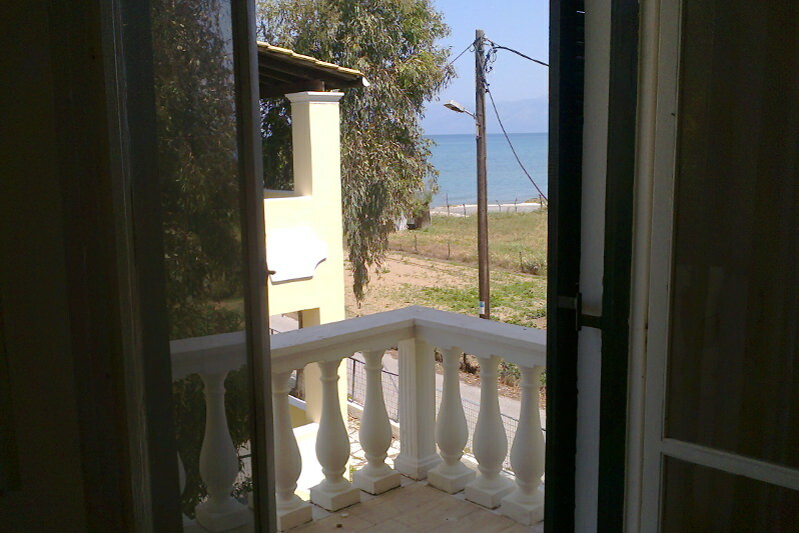 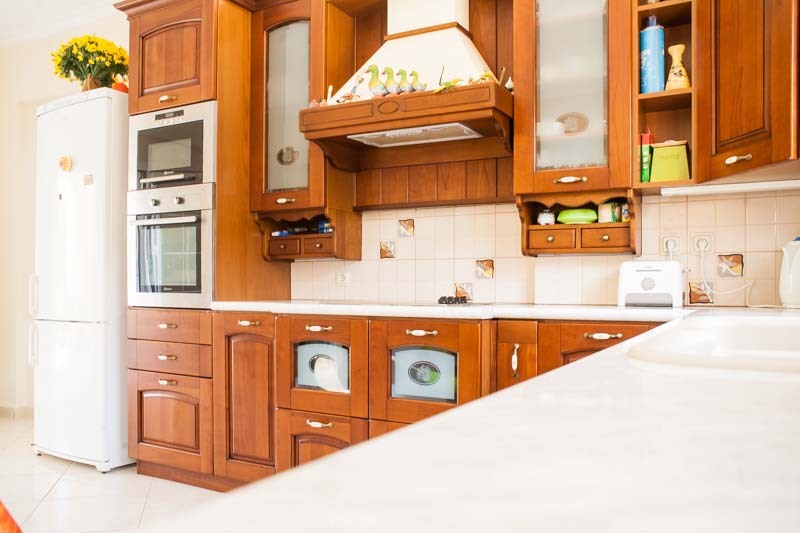 Just 20m from Alipa Beach, Napoleon Apartments offer accommodation with kitchenette and a furnished balcony or patio overlooking the charming bay of Paleiokastritsa. 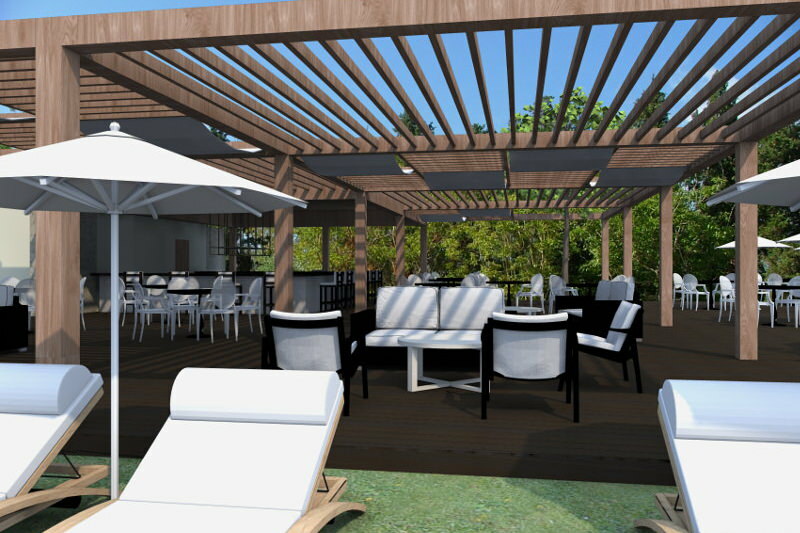 A garden featuring a grassy area with sun loungers and umbrellas is available. 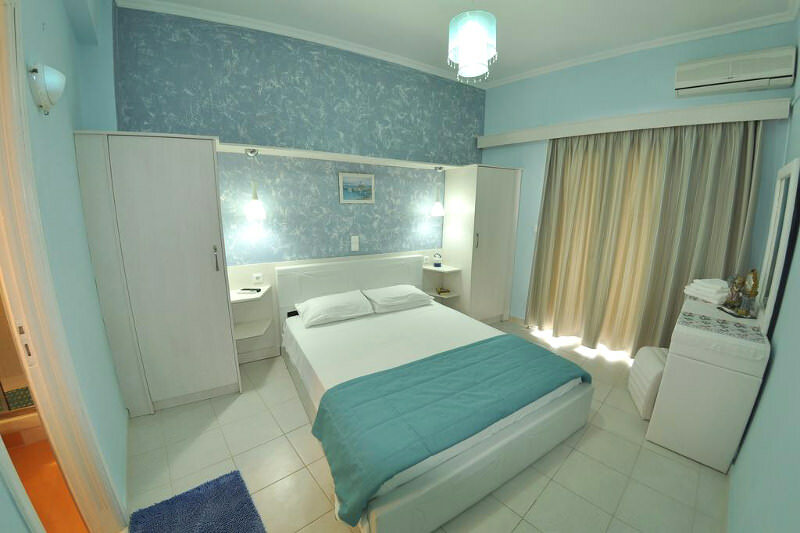 Just a breath away from Acharavi's long sandy beach, Beachfront Salvanos offers fully equipped apartments for comfortable and relaxing holidays. 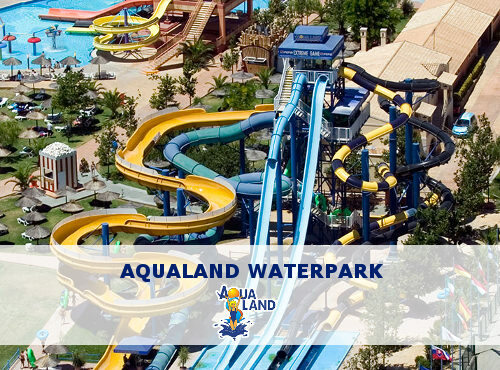 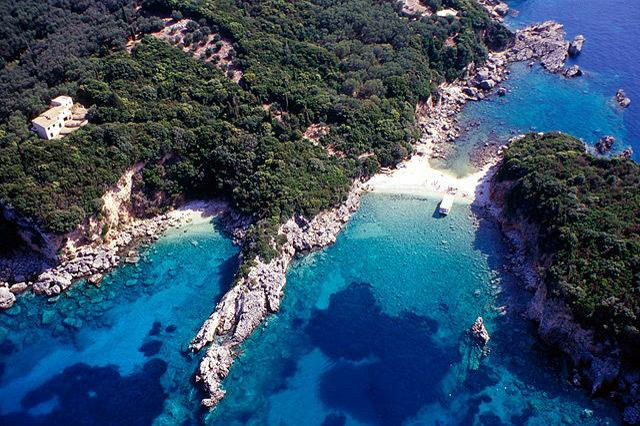 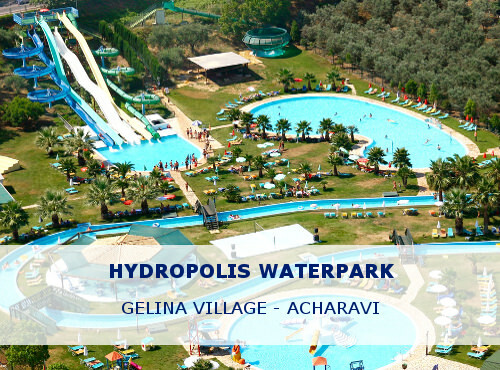 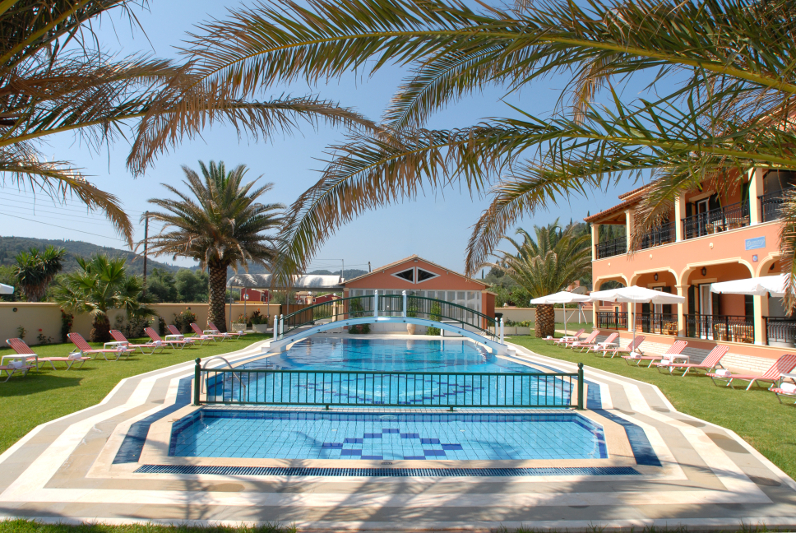 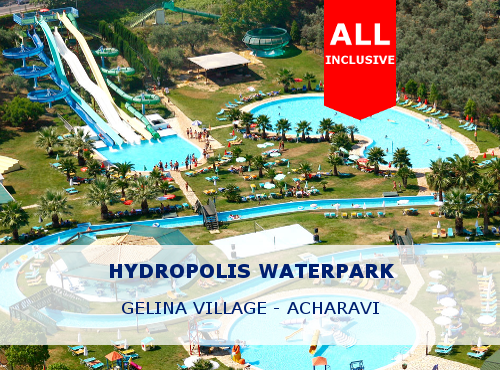 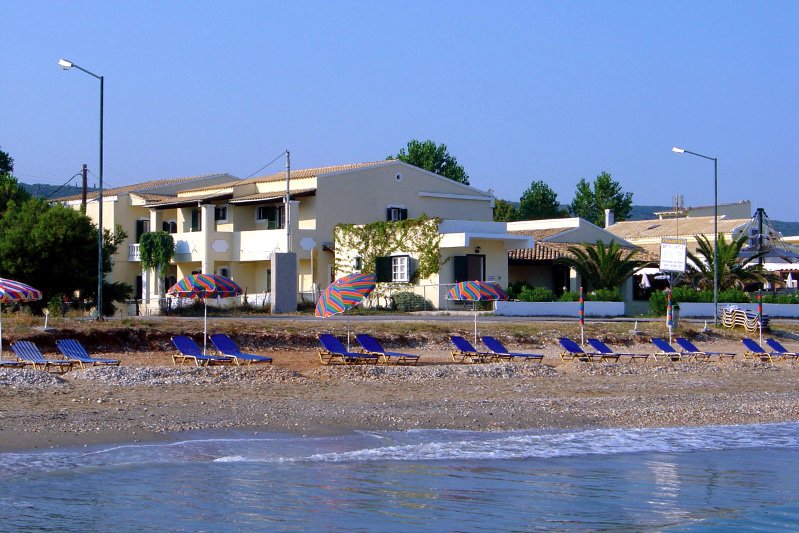 Acharavi is one of the biggest resorts in Corfu with many restaurants, beach bars and touristic services. 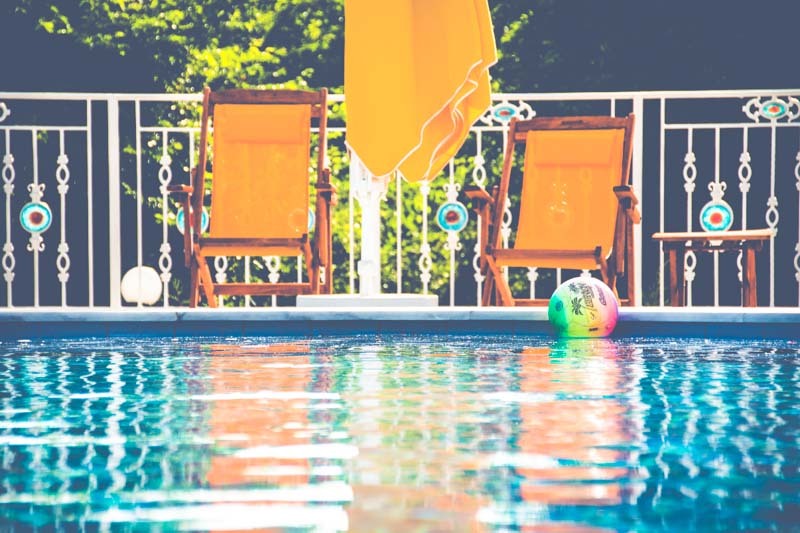 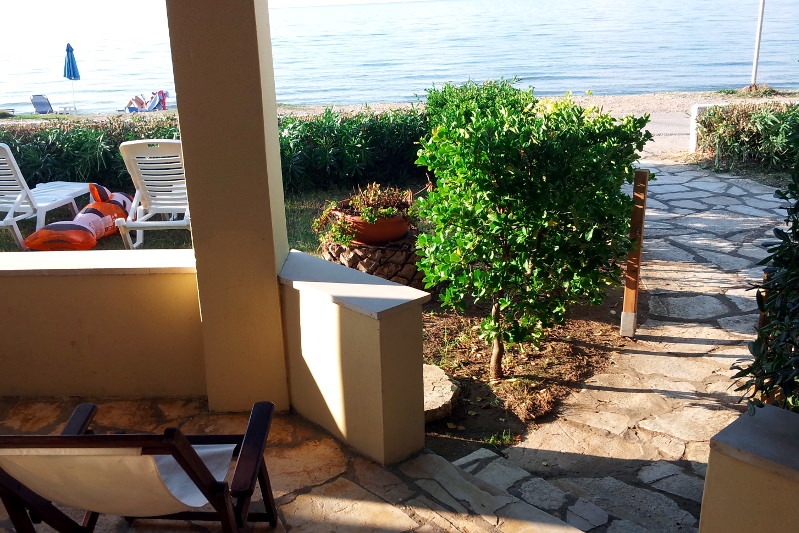 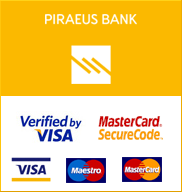 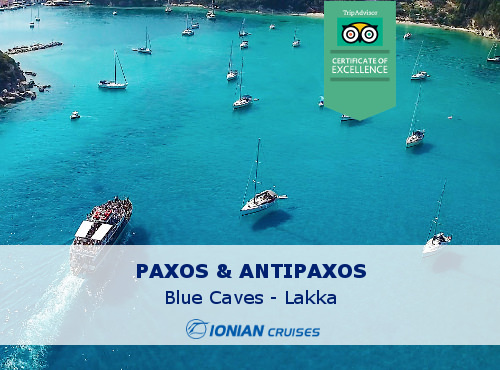 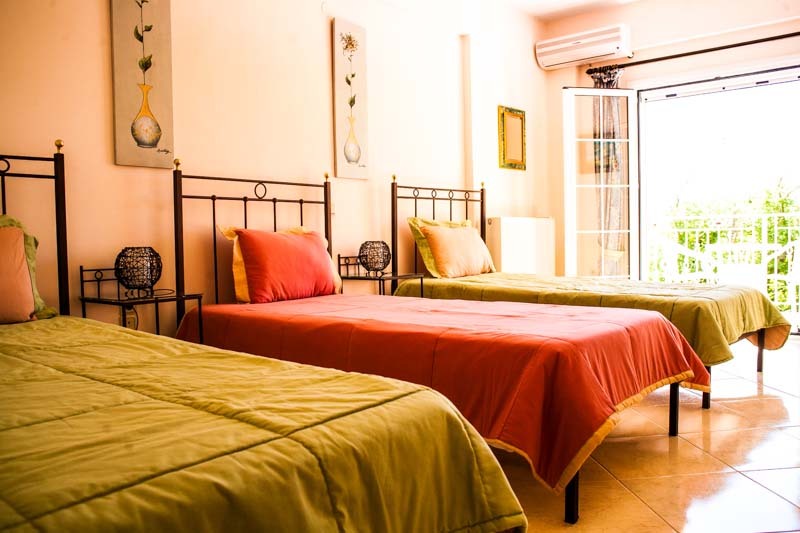 The family-run Paraskevi Apartments is located in the scenic Palaiokastritsa Village of Corfu, within 150 m from the beach and the village centre. 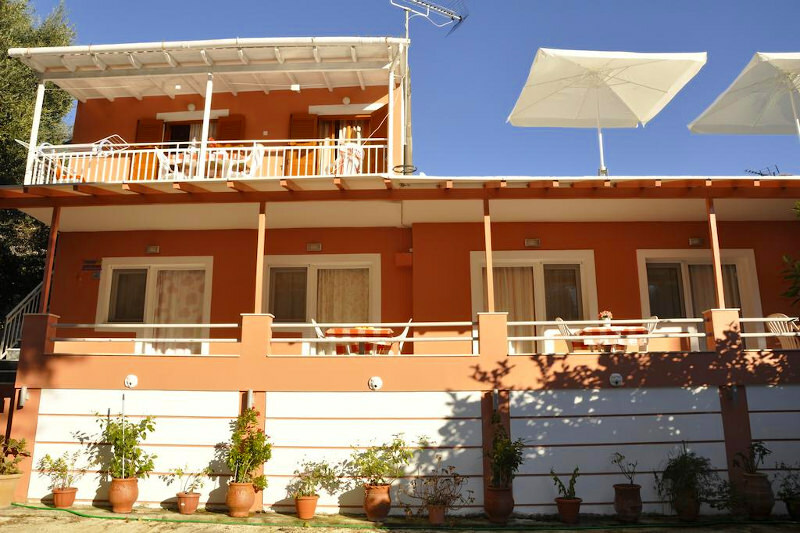 Set amidst lush greenery, the property offers self-catering accommodation with a patio overlooking the mountain.